The afternoon was gloomy and I was with a first time out of the country traveller, my cousin Ate Lanelle. As much as we would rather chill and relax in the pool side of our hotel (have you seen how gorgeous and relaxing the view is?) we decided that it will not rain that afternoon. It should not rain on our parade. 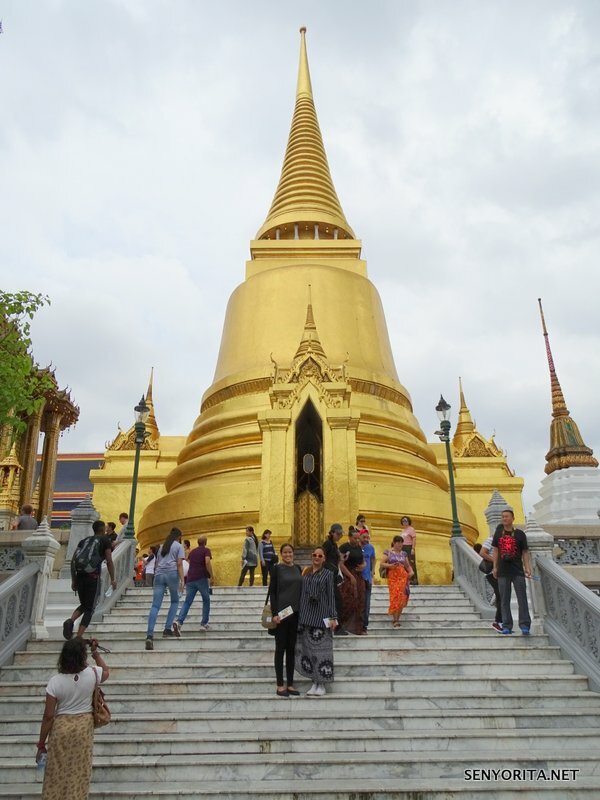 We then agreed to go out and visit the famous Grand Palace. While we were outside paying the entrance fee of 500 Baht, I saw Ate Lanelle’s reaction. Her eyes grew the size of saucers when she saw the facade itself. I couldn’t blame her. I have been here several times yet it never fails to amaze me. Though some sections were closed for renovations for a special event, we still pushed through exploring the palace grounds. We went this far and we’d make the most of it. 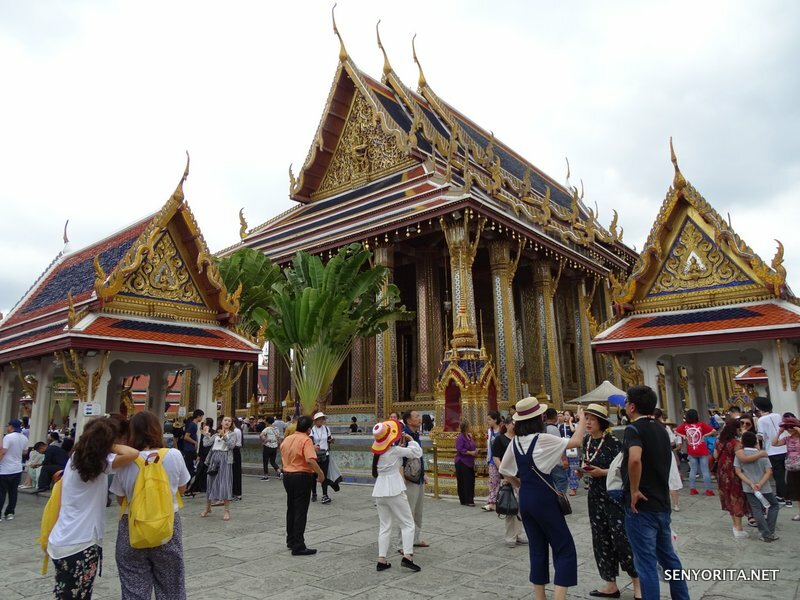 As usual, the Grand Palace attracts numerous tourists at any time of the year. 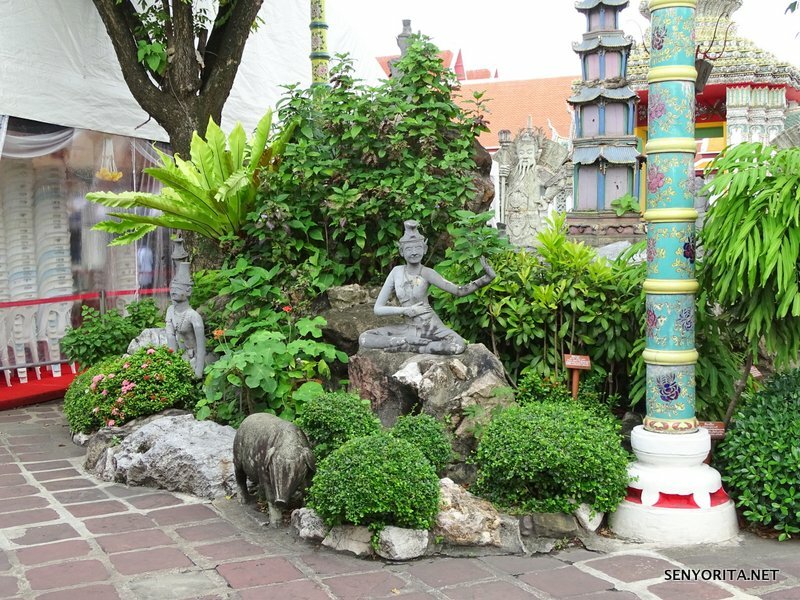 One of the many reasons is the ground itself, all buildings, gardens, temples and etc are the finest example of Thai architecture combined with Buddhist sculptures, fancy handicrafts and even paintings. 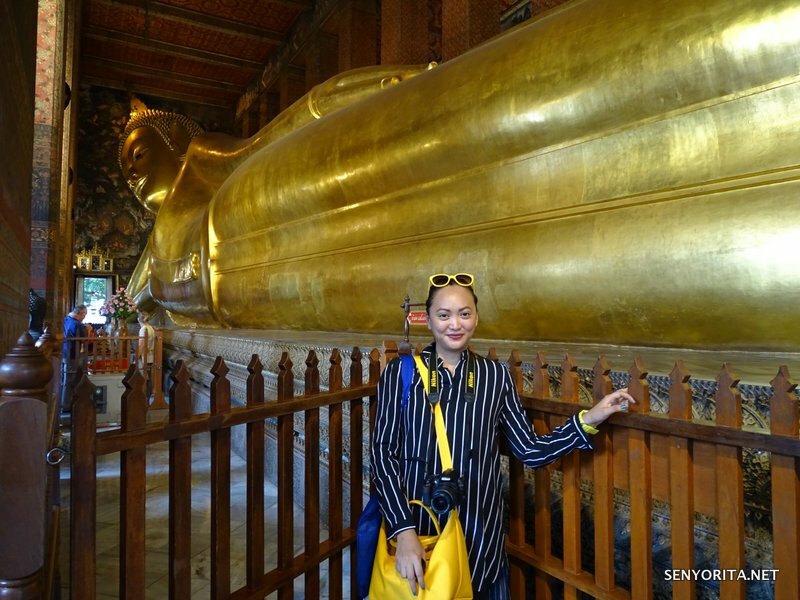 It was built according to the Ayutthaya, the ancient capital of Thailand and in the modern days function as the residence of the Thai King and used as a royal court. 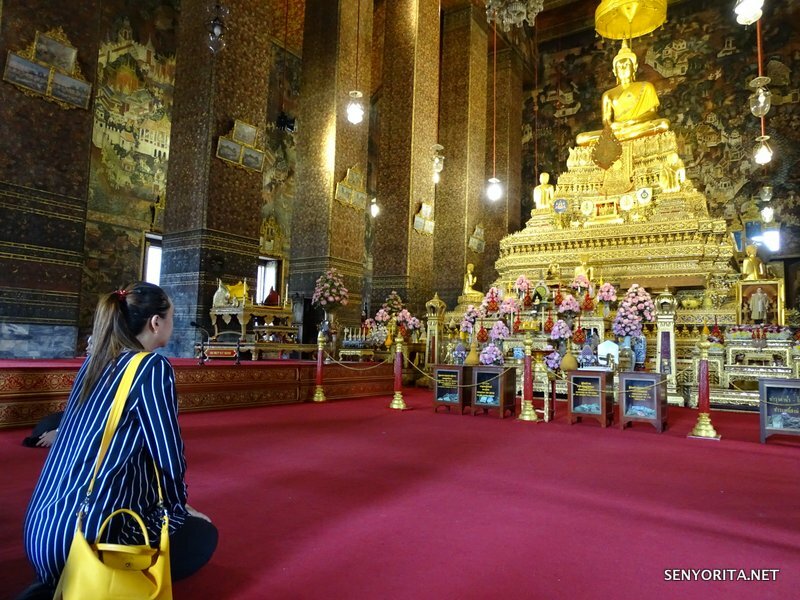 Even though the sights are too much to take in, I feel slightly bad that she didn’t get to see one of the most sought after attraction in the area- the Emerald buddha. After our tour of the palace, we went straight to Wat Po. 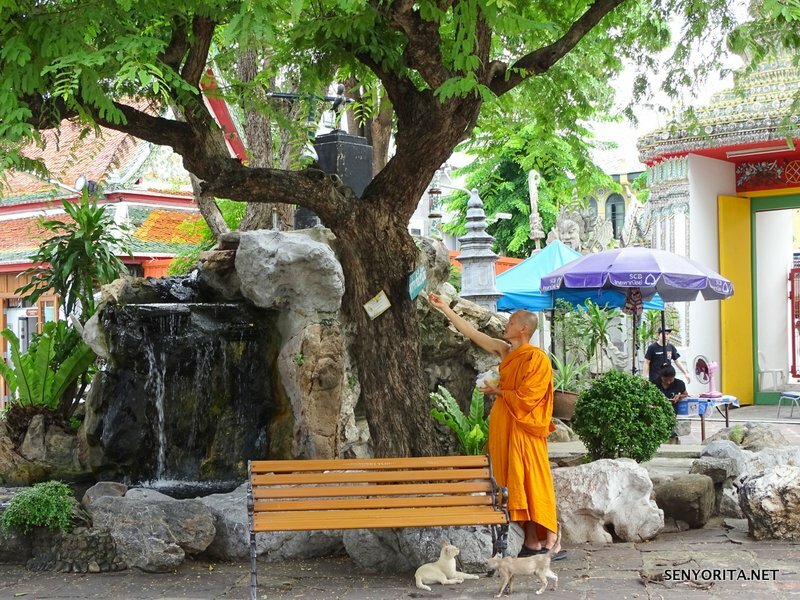 It is right behind Grand Palace and can be reached by foot. 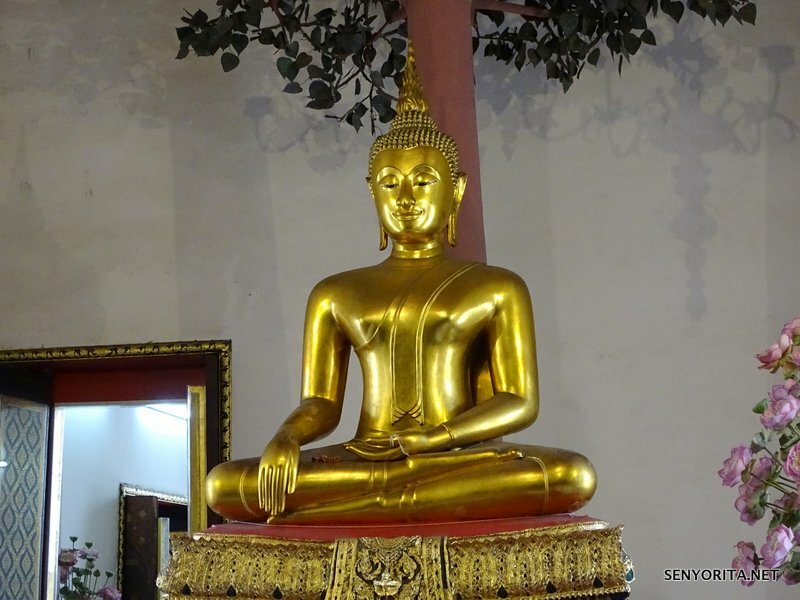 One of the oldest and largest temple in Thailand, it houses more than a thousand Buddha images. 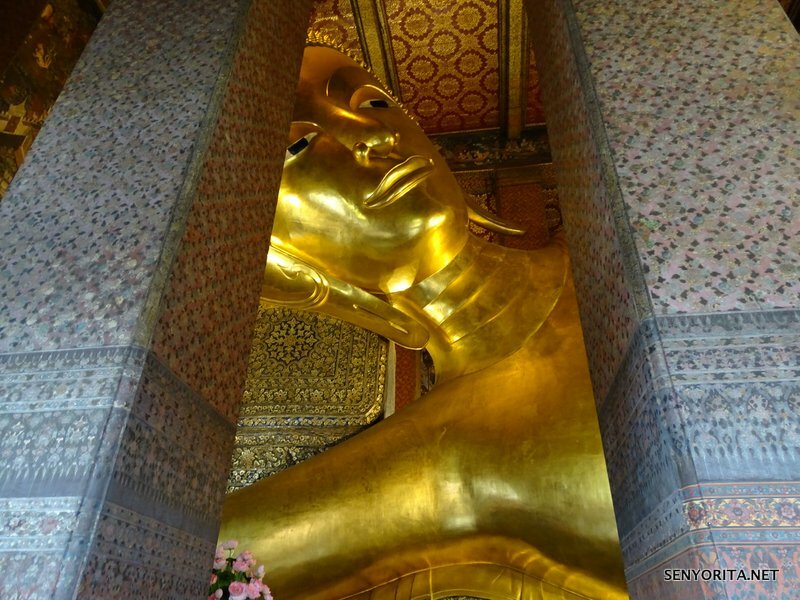 This is also where the reclining buddha is. Measuring 15 meters high and 46 meters long, the posture is particularly interesting because it mimics the posture of a sleeping or reclining lion. What interests me is that when you look at the feet of the buddha, particularly the sole, you can see different panels of pictures that depicts numerous symbols from which Buddha can be identified. I saw flowers, white elephants, tigers and even dancers. 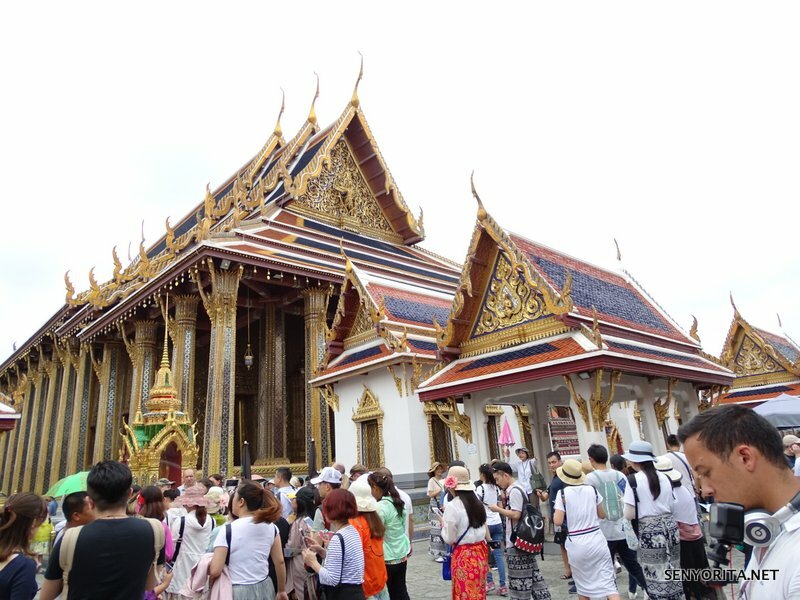 Compared to our Grand Palace tour, Wat Po, even though still filled with tourists, is less chaotic. I can say that touring around the grounds is more peaceful and less stressful. Overall, I know that Ate Lanelle enjoyed this day. 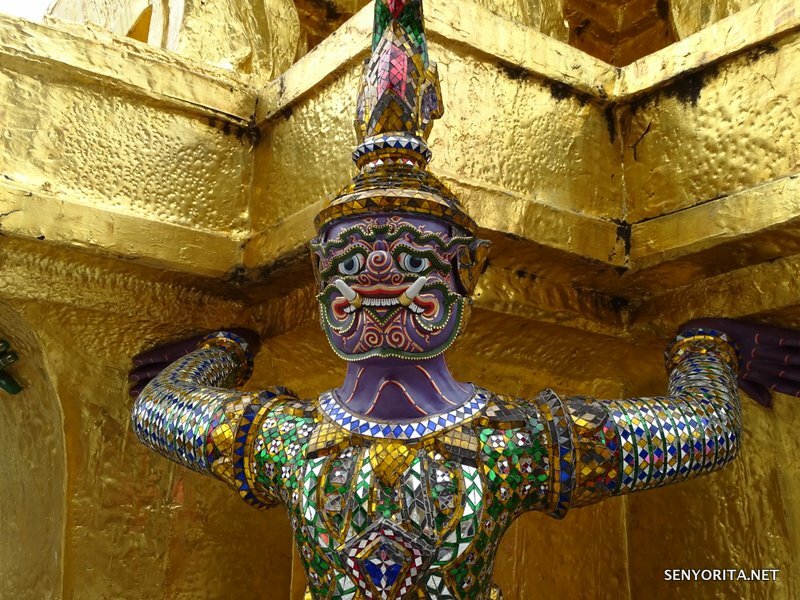 It might be the typical sight-seeing tourist activity that most visitors do, but when in Bangkok, you just have to visit and marvel at their works of art. I suggest, to make the most of your time, to start early. 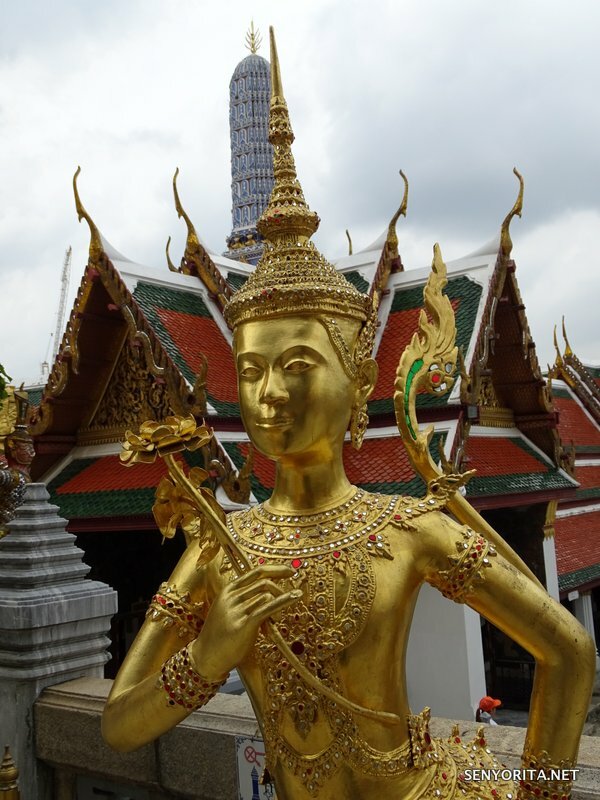 In fact, it is possible to visit Grand Palace and Wat Po in one day. 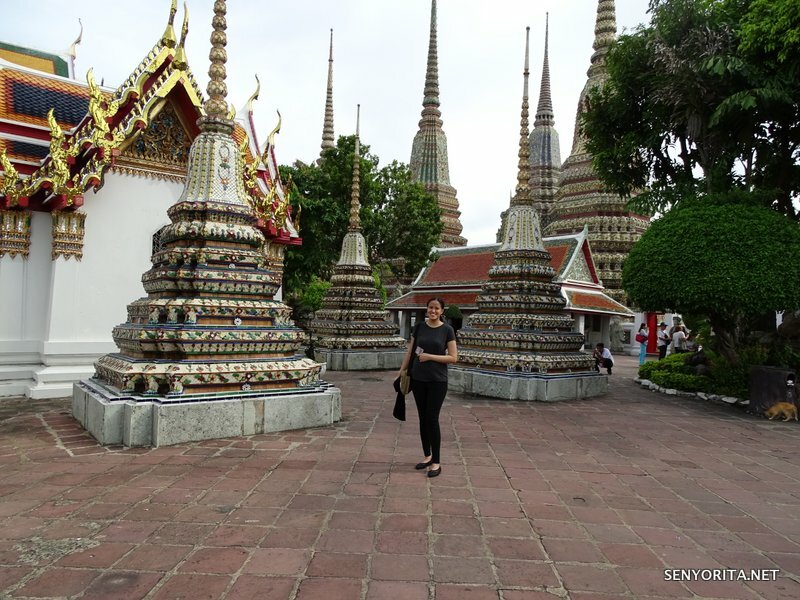 At least, you were able to cross two of the Top Things to Do in Bangkok! Also, since they are Buddhist temples, a certain dress code is followed. 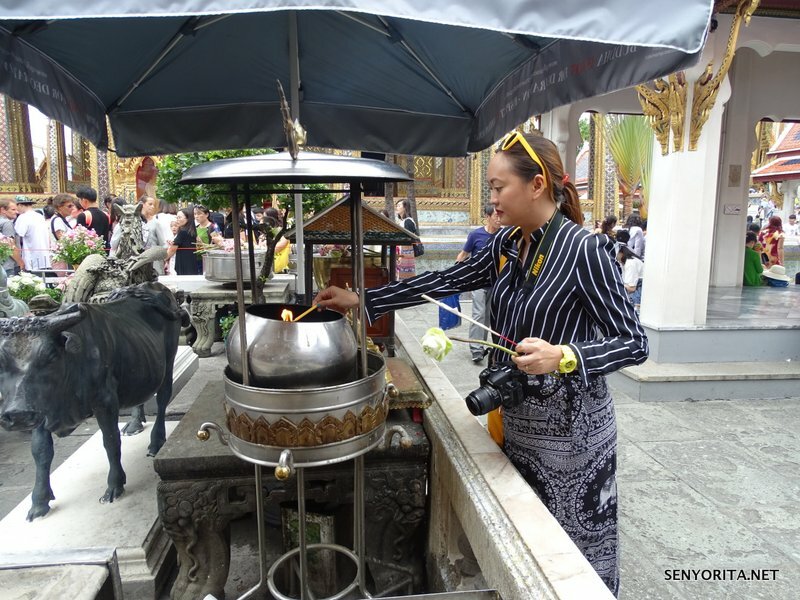 No sleeveless or shorts are allowed And please don’t forget that some of the areas in the grounds do not allow photographs to be taken, like the temple where the Emerald Buddha is displayed. As long as you respect the rules, you’d surely have a great time!